Car manufacturing represents a fast-growing industry in Africa. Local entrepreneurs are establishing automotive companies and developing cars suited for the local market. More and more enterprises are sprouting up across the continent. Below are the African companies that build wholly or partly African sourced vehicles mainly for Africans, though many of them can give competition in the international market. Laraki is a successful supercar manufacturer. The owner of the company Abdeslam Laraki mainly designs and builds luxurious yachts for the Moroccan princes. In the early 2000s he decided to try his hand in automobile business, especially as he had long been friends with Franco Sbarro, the famous Swiss car designer. The result of the first efforts was the supercar Laraki Fulgura based on the Lamborghini Diablo. The model has been in small series production since 2003. In 2005 the second model appeared ‒ the Laraki Borak which was shown at the Geneva Moto Show. 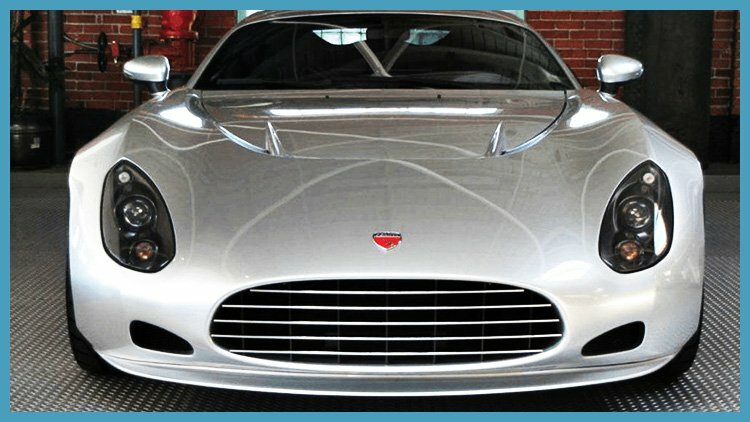 It was a heavier vehicle with a unique design, a 540 hp engine, capable of developing 310 km/ h. In 2013 the third car was presented ‒ the Laraki Epitome, a car of exceptional beauty with the C6 Corvette chassis and a forced 1200 hp engine. The vehicle features two petrol tanks for normal and high-octane gasoline. Laraki’s products are custom-built and rather expensive. The price of a car usually exceeds two million US dollars. The company is engaged in the restoration of old cars and makes replicas by order. It also has its own car model in the “portfolio” ‒ a beautiful retro-styled car Menara. The vehicle is designed in the style of the 1930s and is equipped with a 120 hp engine capable of accelerating the car up to 160 km/ h. Like the replicas, La Menara is manufactured exclusively by hand and to order. The Libyan rocket as it is often called is a car in James Bond-style made by the Libyan Arab Domestic Investment Company in 1999. It features a collapsible bumper, a 5-passenger saloon, an electronic defense system and air bags. The front and rear are shaped like a rocket. The car was introduced as the safest vehicle ever made. Mobius Motors is a very promising company. In 2009 they presented the prototype Mobius One, and in 2011 their second model was shown ‒ a stripped-down car Mobius Two. The idea was to make an ideal car for the local mass market, that is as simple as possible, so that nothing could be broken or broken off, as endurable as possible, passable and cheap. And they managed to achieve this goal. The Mobius features no electronics, no air conditioners and no heaters ‒ nothing superfluous at all. The simplest control, extremely light weight due to the tubular frame, the possibility to travel even on the bonnet or on the roof (special planes and handles are designed for this) and roominess are its characteristic features. The producer uses both local and global parts. The vehicle is already available per request. Having established itself as a manufacturer of trucks and buses, Innoson Vehicle Manufacturing Company decided to develop the manufacture of passenger cars. The current line-up of the IVM cars includes the IVM 1021A (a truck), the Uzo (a mini bus), the Fox and the Umu (five-seaters) and the Sports Utility Vehicle IVM 6490A. The cars are high-quality and affordable. In addition to the assembly production of the Canadian company INKAS, Nigeria has its own factory of armored cars and military equipment. Besides tanks, armored vehicles, helmets and body armor, the company produces armored SUVs of its own design ‒ the Pf2 and Pf3 (APC series), the Pf2 Leopard (ICV series) armored vehicles, as well as many different licensed vehicles with the Toyota, Iveco, MAN, DAF, Mercedes- Benz, Isuzu and Mitsubishi chassis. Moreover, Proforce offers the possibility to bespeak almost any vehicle including a Rolls-Royce. Pretoria-based AAD has been making sports cars since 1995. The two models of racing-style cars the Shaka Nynya and the Shaka Giotte are characterized by the drivers as versatile and high-speed. The cars are made by order. Birkin Cars is one of the many companies that produce replicas of the cult sports car 1968 Lotus Seven Series 3. The company offers two models ‒ the Birkin SS3 (Street Series 3) and the CS3 (Clubman Series 3), two modifications of each. It should be noted that Birkins are kit-cars. It means that they are supplied in the form of a large construction set, and the buyer assembles the car himself, just for pleasure. Perana Performance Group was set up in 2007 as a manufacturer of custom-made sports car. Interestingly, the name “Perana” in the 1960-1970s was used by another South African company ‒ Basil Green Motors engaged in assembling and tuning Ford cars. At present Perana offers one model ‒ the Perana AC 378 GT Zagato (formerly the Perana Z-One). It is a full-fledged modern luxury sports car with a 6.2-liter engine. The developers are planning to produce 999 cars, but at the moment the number of advance orders has not reached the limit yet. It is the largest African defense company which produces combat boats (up to 42 m long! ), transport and military aircraft, as well as drones and electronic systems. The range of its products includes military vehicles ‒ from the lightweight armored SUV Marauder Patrol, intended also for police purposes, to the heavily armed landing carriers Matador and Mbombe. It is interesting that the Marauder armored vehicles are also assembled in Azerbaijan, where Paramount has a subsidiary. Moreover, there is a luxury civil version of this model and it is one of the most expensive and luxurious SUVs in the world. The brand is owned by the South African company IVEMA that manufactures simple off-road vehicles of its own design. The company makes two models ‒ the URI Desert Runner and the URI Mining Vehicle. The first is a simple, reliable and passable jeep in civil, military and police versions (the army and the police provide the company with nearly the entire turnover). The vehicle resembles a construction set ‒ it can be taken apart without a wretch. The URI Mining Vehicle is larger in size but even simpler than the URI Desert Runner. It is also available in a number of modifications. The South African company named Bailey Edwards Cars is a producer of sports cars the technical characteristics of which are as similar as possible to the Le Mans cars of different classes. At the same time they are also suitable for public roads. 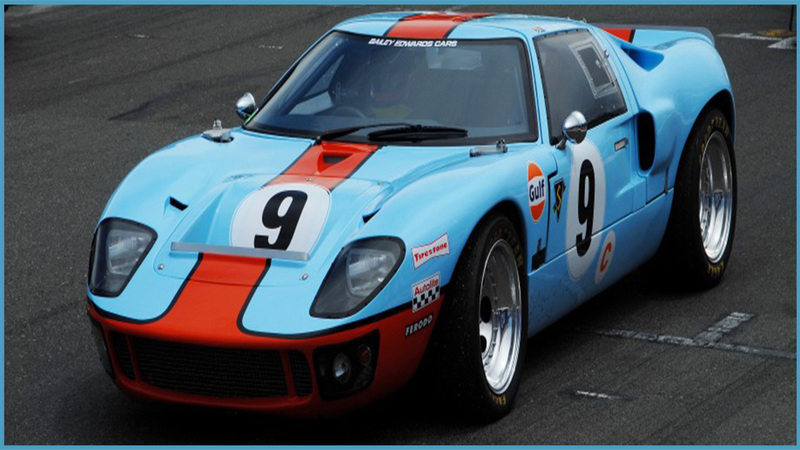 For example, the Bailey GT1 (respectively, in the GT class), an even more unusual Bailey LMP 2, as well as a number of replicas of the classic Le Mans models of the past ‒ the Porsche (Bailey 917), Ford (Bailey GT40) and others. Such cars will cost quite a lot, but well-to-do fans are ready to fork out for the car of their dream so as to drive it to Le Mans either as spectators or contestants. 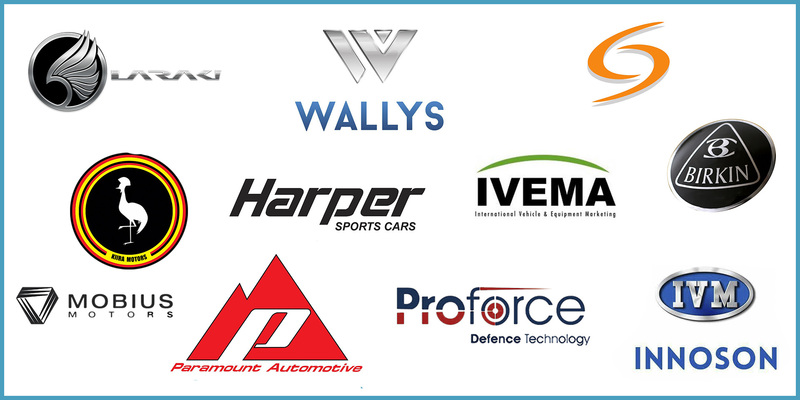 IVEMA which stands for International Vehicle and Equipment Marketing is an African manufacturer of military automotive engineering and equipment. It is also engaged in making turrets and machine tools for weapons and delivers to South Africa foreign military equipment and weapons. In the range of IVEMA products there is one car. It is the IVEMA GILA 4×4 MRAP Vehicle, a four-wheel drive armored off-highway vehicle. Its armor withstands an explosion with a capacity of 14 kg of TNT equivalent. The vehicle is available in amphibious, medical, luxury and platform versions. This small South African company offers to buy a kit for assembling an attractive sports car that to some extent resembles the Le Mans prototype. Despite its racing appearance, the car is certified for driving on public roads. The company is ready to sell a fully assembled car as well, only it will cost about 3.5 times more expensive, so the choice is the buyer’s. Established in 2006, it is the only car maker in Tunisia. Its first car appeared thanks to the enthusiast Zied Guiga, who showed the prototype at the 2008 Paris Motor Show. Even the Europeans liked the compact SUV and a year later the Wallys Izis model went into small-scale production. The engine is a 75 hp 1.4-liter Peugeot, the length of the car is just 3.25 m. Since the body is plastic, the company gives a lifetime anti-corrosion warranty. In principle, it is a typical beach car. There is an electric version of the vehicle as well. The second Wallys Izis model was made in 2013. Now the company is developing one more model which is the Wallys Iris. 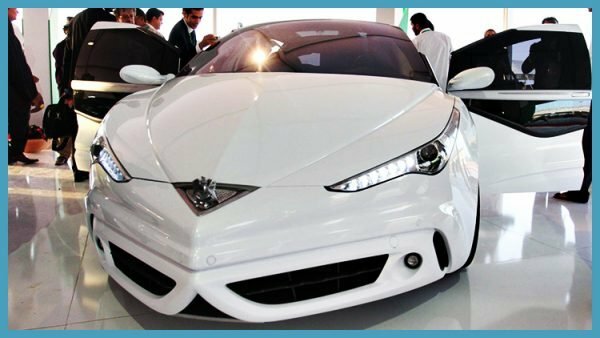 Kiira Motors Corporation was the first vehicle producer in Africa to develop a hybrid electronic vehicle. It appeared in 2014, though it isn’t on offer yet. The project was sponsored by the Ugandan government. The idea was to create a hybrid affordable for local consumers. The first African-made solar electric bus unveiled in 2016 was their project as well. The company hopes to launch the production of buses, pick-ups and trucks in 2018. The Ghanaian company named after its founder Apostle Safo Kantanka is engaged in assembling passenger vehicles from kits. The range of products consists of several models which are mainly SUVs and pickups. The commercial sale of the vehicles was launched in 2016. In Africa there are several manufacturing companies operating under the licenses of major global automotive producers. For example, the Egyptian company Speranza produces the Daewoo cars (the models Tiggo, Envy, A113, M11 and M12) under license and quite successfully delivers them to the whole territory of North Africa. MCV in South Africa makes trucks and buses under licenses issued by Mercedes-Benz, Volvo, MAN, as well as its own brand Evolution (however, these are also modified license cars). African buses appeared in the line when the Egyptians bought the English company Marshall Bus which became the basis of bus production. The Egyptian Nasr, for instance, produces cars licensed by the Turkish company Tofas which in turn manufactures them under a long-standing license from Fiat (in particular, the 1984 Fiat 131 model). On the whole, global car manufacturers are looking for opportunities in Africa. The market is really profitable as the continent’s population is nearly 1.2 billion people while the number of passenger vehicles operating there is about 21.6 million. Many of the global companies have numerous subsidiaries on the continent, especially in South Africa. BMW, Mercedes-Benz, MAN, Volkswagen, Nissan, Toyota and others have been present there for several decades producing hundreds of thousands of vehicles per year.